Doug Schumacher is likely known to Voicebot listeners as either the host of the VoiceMarketing Podcast or creator of the satirical Homie & Lexy Podcast. He is the founder of Arrovox, a digital creative firm with a speciality that includes voice and marketing. During his career he has worked with clients ranging from Sony Pictures and EA Games to Pepsi and Mattel. Doug started his career as a writer at DDB Needham, TBWA/Chiat/Day and BBDO. He is a graduate of the University of Illinois. We discuss his early career learning the Attention, Interest, Desire and Action (AIDA) framework, how to write ad copy and his work in radio, digital and social media advertising. 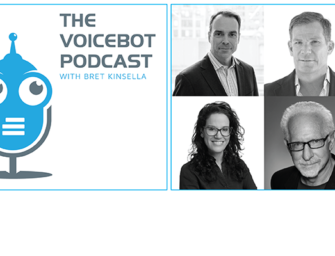 It’s Advertising Week and what better time to talk about voice marketing.